Managed file transfer products are sophisticated tools that enable organizations to centrally manage, monitor, secure and schedule file transfers. Many managed file transfer (MFT) vendors are expanding their products' capabilities to support additional file transfer types, particularly enterprise file synchronization and sharing (EFSS). 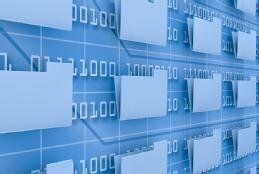 EFSS provides two helpful features for transferring files securely. First, it makes sure users' files are available across their devices. Given how many devices most users have today, file synchronization is a huge boon to productivity and usability. The second feature is the ability to share files with others and allow multiple people to access the same files simultaneously while preventing anyone else from accessing them. EFSS can take the place of third-party services such as Box and Dropbox, helping organizations regain control of their content. An MFT product can also provide EFSS capabilities through its centralized management, monitoring and auditing capabilities. This includes a full range of necessary services for transferring files securely, including data encryption, user authentication, access control and logging, as well as data management services such as data retention, archival, disposal and destruction to ensure compliance. Having a single product with MFT and EFSS capabilities does away with significant redundancy. The downside of adding EFSS capabilities to an MFT product is the increased importance of the MFT deployment and related security. Compromise or misuse of the MFT product could have more serious consequences. There are also operational considerations relevant for transferring files securely, such as greater need for reliability and scalability. The security and operational concerns are heightened if any portions of the MFT deployment are outside your organization's control -- for example, a cloud-based service that holds and safeguards files to be delivered to third parties. Still, the downsides to separate MFT and EFSS capabilities or no enterprise-controlled EFSS at all are great; your organization should strongly consider a joint MFT-EFSS deployment.